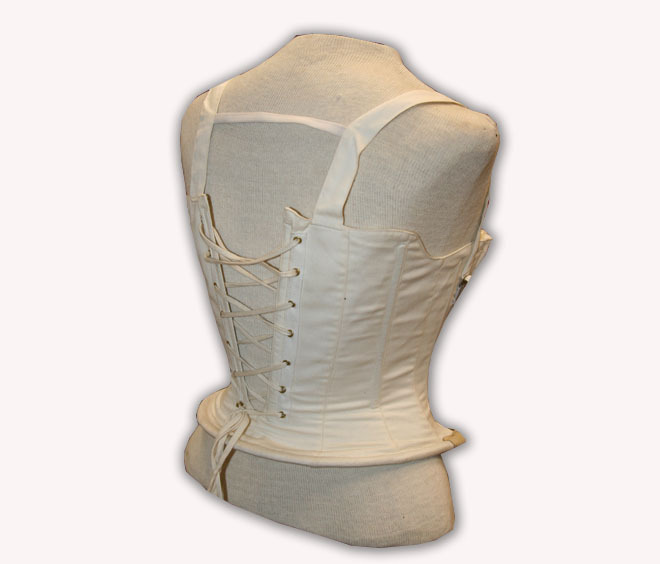 This corset design was patented in 1862 by Madame Foy. It features a bone curving along the back to help with shaping of the skirts. Please measure yourself and double check those measurements before you order! This item will fit up to the measurments listed! This item is a shop sample and has a quarter sized smudge on the bustline due to shop wear and tear.